Problem – How do I register? Solution – Download the PDF guide here. Solution- Please check your spam folder first just in case it has been classed as a spam e-mail. 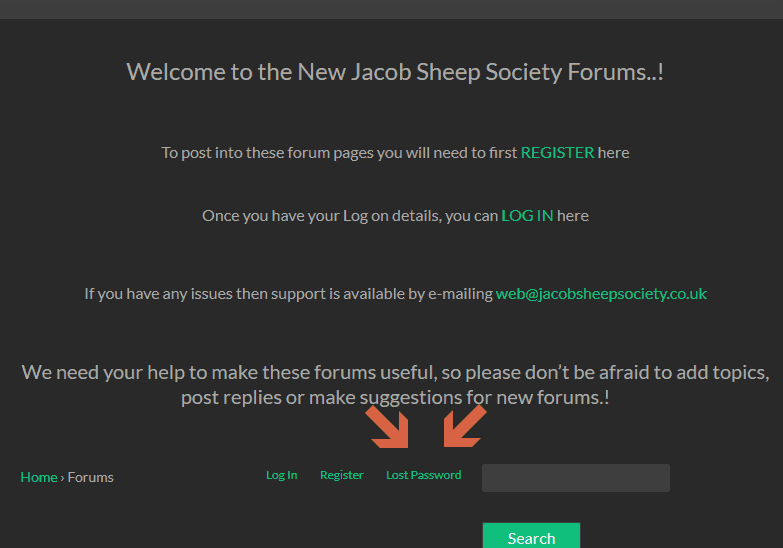 If it’s not in your spam, then please e-mail web@jacobsheepsociety.co.uk asking for a manual activation. Problem – I can’t remember my password. Did I activate my account? The link will open a new screen which will ask for your Username or E-mail Address. 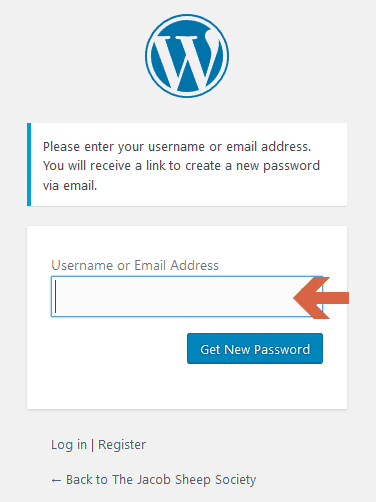 Once your information is entered, click the ‘Get New Password’ button.